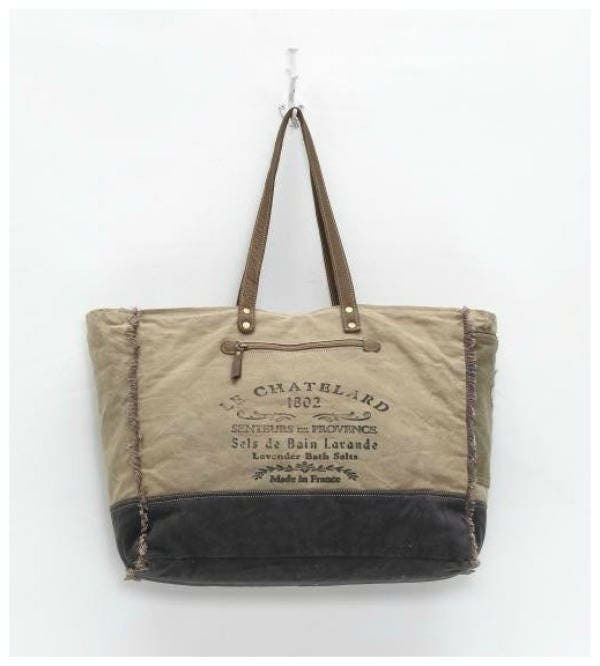 Denim, canvas, and leather are combined to make this rugged-looking weekender bag! It looks well-worn and loved! Bag measures 19" high, 14.5" high, 5" deep, and the handle adds another 12". The top zips closed, and so does one interior pocket. There are also two self-pockets that are great for your phone or keys. The leather handles are attached by sewing and with rivets. A leather strap comes over the top of the bag and closes with a magnetic snap. 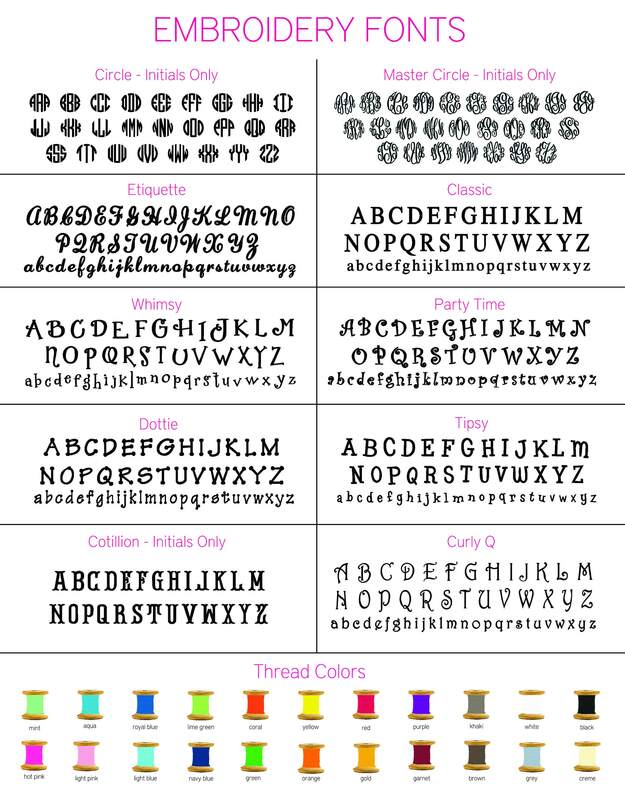 Your monogram is included so be sure to let me know how you'd like it personalized by leaving a note at check-out or by sending a convo. 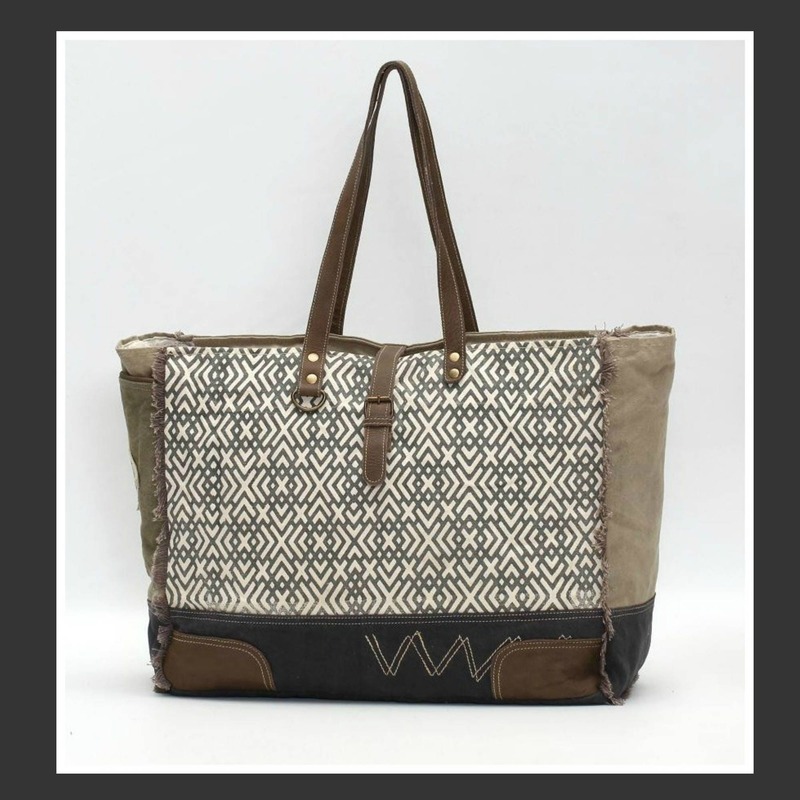 **This bag is partly made from recycled army surplus canvas. The markings, stitches, and other little blemishes found in the material adds to the vintage-inspired look of the bag.